Rowing clubs are expressing concern over an apparent price hike of their annual club insurance covers with one club highlighting an increase of 17% (before the tax increase) on their Public Liability policy despite never having made a claim. One of the issues that has historically affected rowing clubs is access to liability protection that adequately covers modern needs such as cover for officers and trustees and allegations of abuse. Traditionally there have been very few options for clubs to source alternative insurance when premiums have been increased or the standard of service has been unsatisfactory. If your rowing club is looking for alternative insurance you can access a package of suitable cover from IRCM who are able to offer you exclusive protection as part of a comprehensive insurance programme for your club. Designed for rowers by rowers the IRCM suite of covers includes the usual protection for club buildings and contents and also encompasses vital extensions within its Public Liability Insurance that include member-to-member cover and Abuse cover for clubs working with children or vulnerable adults. It also offers a wide Trustee & Director extension that not only covers club officers but your employees and volunteers for wrongful acts committed in connection with club business that the club would be held responsible for. Benefitting from an advantageous scope of cover for your club racing fleet, support vessels and associated equipment, combined with support from a team of in-house specialists your club can enjoy full insurance, risk and claims management support. 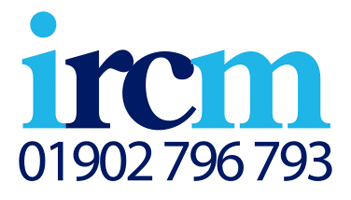 With all the insurance on your IRCM programme being provided by a single insurer, it means IRCM have the market presence to negotiate competitive premium rates for our rowing club clients.